Who’s visiting top chain restaurants, c-stores and major retailers? And what do they think of them? 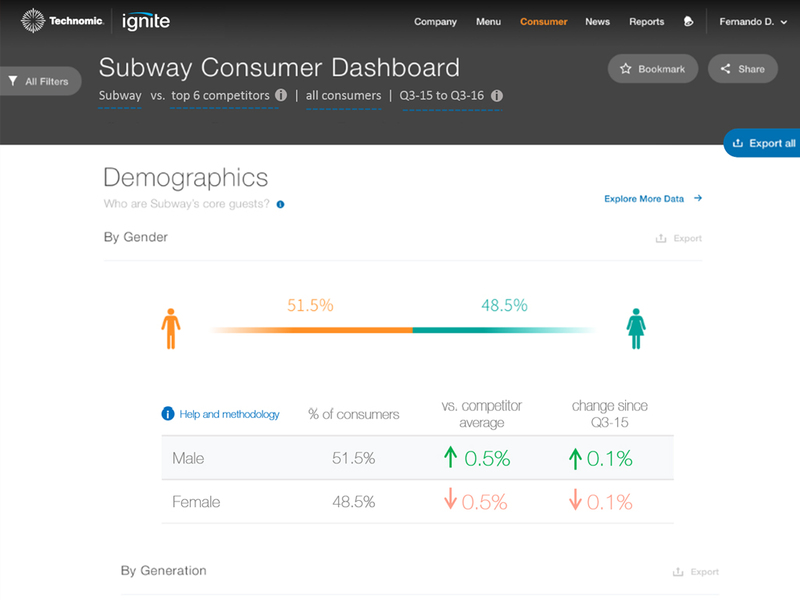 Based on a recent foodservice visit to a specific brand, Ignite tracks more than 60 different attributes, plus metrics such as occasion drivers, craveability and demographic data. Ignite’s consumer brand tracking offers an accurate and up-to-date method to benchmark guest satisfaction as well as operator performance. The service provides ongoing trend data for chain restaurants, leading convenience stores and major retailers. Ignite also tracks Canadian restaurants.